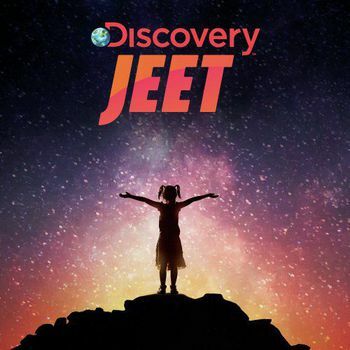 Mumbai: The newest kid on the GEC spectrum – Discovery JEET – was launched with much fanfare with shows comprising big names like Sunny Leone, Ram Kapoor and Mohit Raina. The channel tried its best to bring clutter breaking content on Indian television. It also brought the western concept of finite series that would be replaced after an interim of three months. The GEC was launched on 12 February, 2018. However, amidst strong competition; it couldn’t make a remarkable mark. According to our exclusive information, the ratings of the channel have not been well received by the high officials. Consequently, after a number of meetings, it was decided that the channel will be re-launched with much grandeur and better shows. An array of projects was in the pipeline to go on air on the platform by this May to replace the current lot of finite dailies. However post discussion and contemplation, all the upcoming shows have been put on hold. Ostensibly, the GEC doesn’t want to take any risk with their new offerings. “They want to be 100% sure of the content that will have the potential to click with the audience,” a source claims. Apparently, the channel will wait till the culmination of Indian Premiere League (IPL) to re-commence with a bang. An insider reveals since all the current lot is finite series, once they conclude, they would be re-run till the new lot of shows are introduced. Till that time, JEET will go low. Meanwhile, the two shows Gabru and Man vs. Wild, which were paused for sometime will also go on air again. Tentatively, all the new shows are on hold till May and the channel will reboot from July-August. According to the grapevine, a lot of strategy changes are currently happening in the channel. When approached for a validation, Sameer Rao, VP, didn’t divulge any information. “I can’t comment on anything,” he said. The spokesperson from the channel refused to comment as well. We wish the channel which has taken the risk to bring fresh content on Indian television enters the competition with a bang.